Home » Racing » Bombshell Buick’s Back with Another Record! Bombshell Buick’s Back with Another Record! 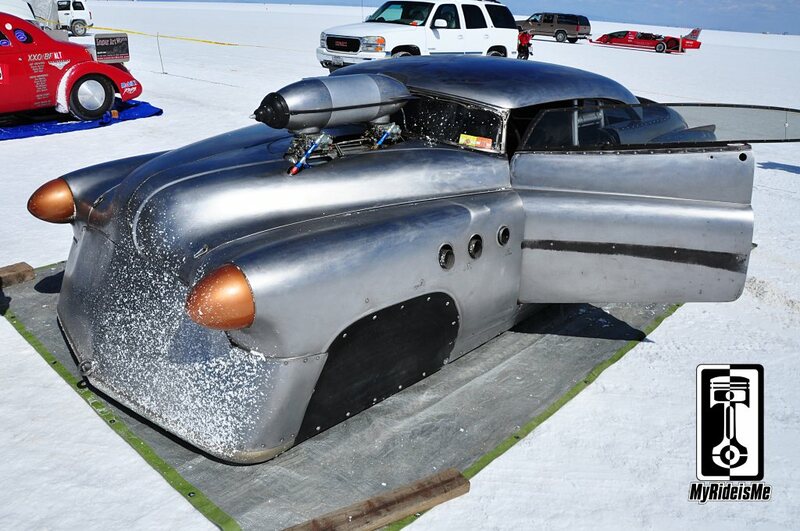 Kicking off Bonneville 2013 Coverage, here’s a quick look at the upgrades on Jeff Brock’s too-cool 1952 Buick Super Riviera. 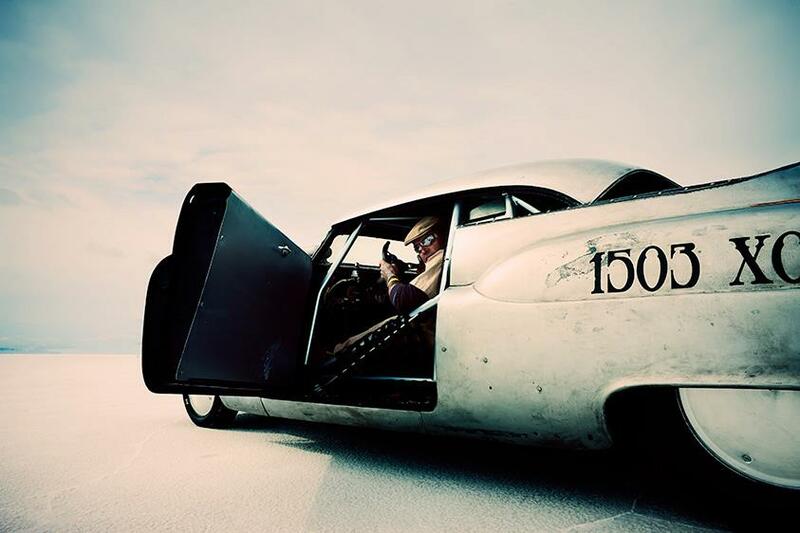 We profiled the birth of “Bombshell Betty” in another story about this Bonneville Record Setting Race car here. This is the normal parking spot for Jeff’s custom Buick: Impound. Impound’s where fast cars go to get a quick inspection, then 4 hours or less of work before they’re “Hands off!” until the next morning when making their record back-up run. The average of the two runs becomes the record. If the average doesn’t break the record… you guessed it, no record. In the the picture above, you can see the windows added to the side of the car. Also, you get a first look at the custom made intake scoop! Jeff’s an artist and no slouch when it comes to metal work! 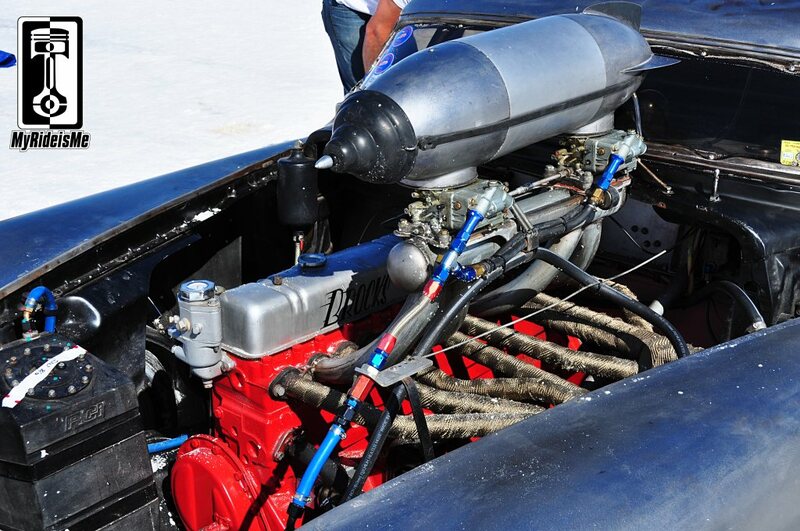 Here’s a look under the hood… we’ll have to ask Jeff if there’s internal changes, but I can tell you this is a new intake with a pair of Holley 2 barrels on top. The header, completely wrapped, exits straight out the fender and sounds as mean as it looks! Ever seen another Buick straight 8 like this? The next morning, Betty’s on her way to course 2 (aka the short course) to back-up the record. Looking closely you see the diffuser aiding in overall aerodynamics and maybe a little downforce. Jeff also added a rear panel wing, but the overall effect was a LOSS of 5 mph. A cut-off wheel made short work of a carefully constructed mistake! If anyone wants the above picture for a screen saver, shoot me an email, I’ll be happy to send it over! Success! Jeff broke his own record. Rocket Heads Studio running in the XO/GCC class ran 165.735 on a 165.380 mph record. Yes, by 0.355 mph! Jeff’s an artist, a hot rodder and a really cool guy! How could he not be with a ride like this? 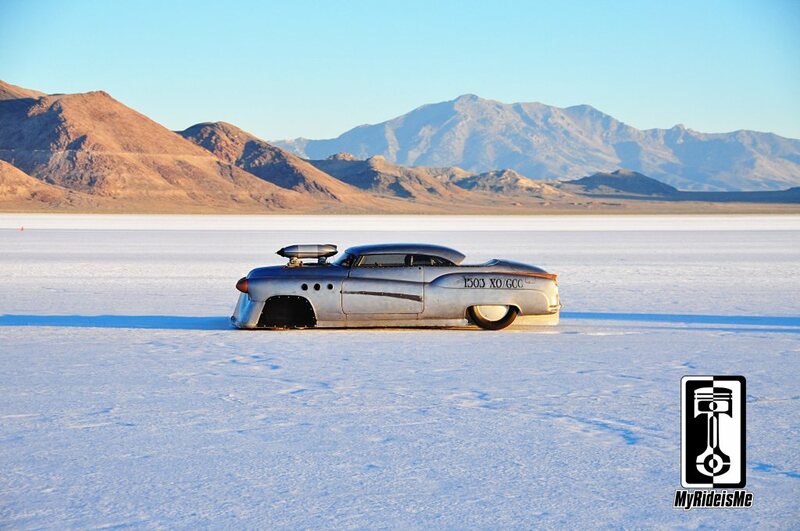 Click here for all of MyRideisMe.com’s Bonneville Salt Flat coverage.